IDOOH Philippines and Voyager Innovations Inc. announced their strategic partnership to utilize each other’s market-leading technology services. From today, the three-month pilot will commence with an initial roll-out of 100 in-vehicle screens through IDOOH’s Transport Network Vehicle Service (TNVS) partners in the Philippines to provide passengers with access to in-vehicle shopping, entertainment, news, games, sports and lifestyle content. The content will be deployed to IDOOH’s in-vehicle display network. Using freenet, Voyager Innovations’ sponsored data and rewards platform, IDOOH and its driver-partners no longer have to worry about data plans and data charges when delivering and downloading content for the out-of-home displays in their cars. Dindo Marzan, VP and Managing Director for Marketing Technologies at Voyager, added: "We're proud to empower IDOOH's innovative out-of-home advertising displays through our freenet platform. This will make it easier and more efficient for IDOOH and their driver-partners to deliver engaging and interactive content to riders in the country." The IDOOH screens will allow passengers to interact in real-time with the display by scanning of QR codes and logging in using their social media profiles to participate in promotions and reward campaigns. IDOOH is Philippines’ largest network of in-vehicle screens through TNVS partners in Manila, Cebu and Davao. 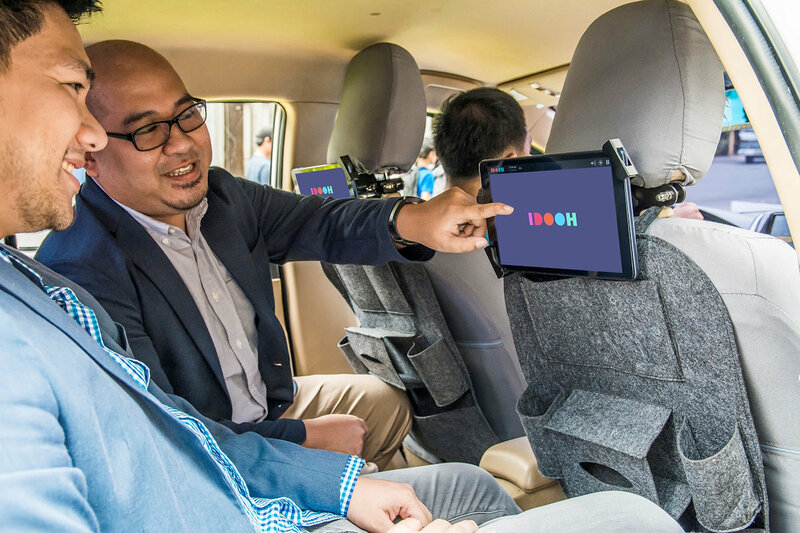 In Asia Pacific, IDOOH is the region’s largest network of in-vehicle digital out-of-home (OOH) screens with an inventory of more than 14,000 screens in taxis and ride-sharing cars.